Today, it is my little brother’s birthday. He is one special guy. We fought like cats and dogs as children, mainly because I like to cause chaos, and he reacts, and then it’s so fun for me and this cycle continued forever. Tyler lives in Taiwan, where he has a farm, teaches, and works at a pizza place. He has a passion for nature, and a growing love for yoga and meditation. He is funny, smart, weird, and wonderful. I miss him, terribly, and so desire for him to come back to Texas. Miss you Tyler and may this year bring joy, peace, and love to you! Happy Birthday! Come home! Happy Birthday! Texas>Taiwan! March was a crazy month. I can’t believe it’s already over. Babies were born, vacations were taken, friends got engaged, best friends moved, i had a birthday, and we celebrated Easter. It was nutty busy and I am tired. So, I decided to put up some pictures from the month, nothing deep or anything, so enjoy. 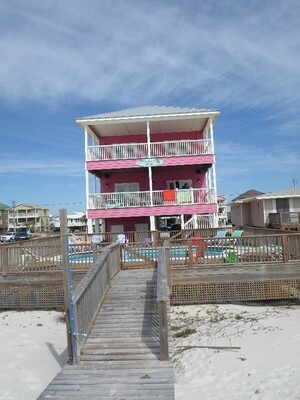 Here’s our beach house in Gulf Shores. Also known as the toilet to the TCU frat staying next door, or as Melissa’s house to the drunk frat boys who just walked in at 2am one night, but it’s really called Pleasure Key. I hate the word pleasure, it grosses me out. Here’s Graham (or Gray, or Grizzle, or Grizzle-Grazzle, or Griz, he answers to them all) He liked the beach once he figured out how to walk on it. 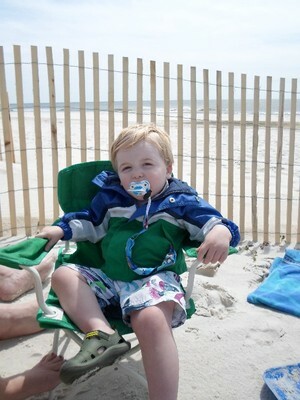 Nothing like a paci while chillin’ in the beach chair. Am I right? 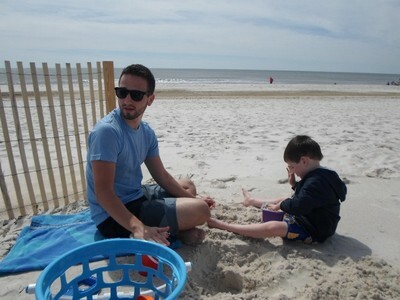 Cody and Max, building a sand castle. 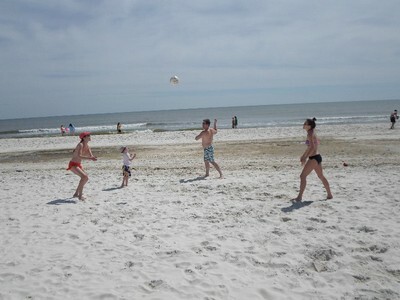 Me, Max, Joey, and Amy playing volleyball. Amy said I was pretty good for someone who never played volleyball. I said I am good at everything. 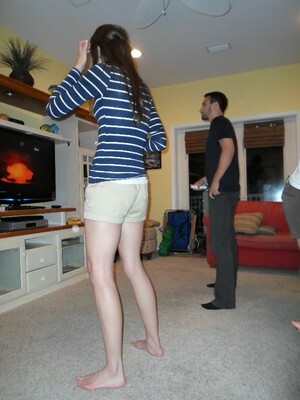 Case in point, here’s Cody and me playing Just Dance. I was good at it. But not as good at Amy, Max and Scooter. So that’s our vacation. Sand Castles, frat boys peeing on our house, wearing jackets, digging holes to block the wind, going to the zoo, Just Dance, stomach flu, playing volleyball, and laughing. I also celebrated my 29th (oh dear gosh) birthday in March. I did not feel like celebrating last year, but this year, I knew exactly what I wanted to do. 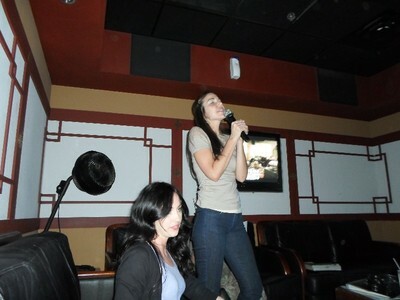 Karaoke. 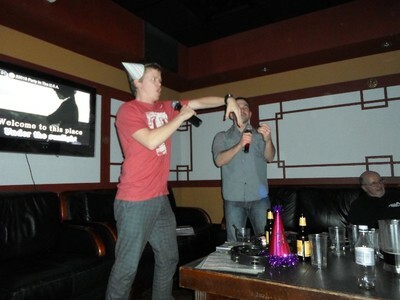 So, we went to sing Karaoke. Some of my best karaoke pals couldn’t make it due to just giving birth and pending birth, another was out of town, but we had a blast anyways. My mom and Step-dad went, and they thought it was super fun. I’m pretty sure we need to go every week. Those Japanese know what’s up. 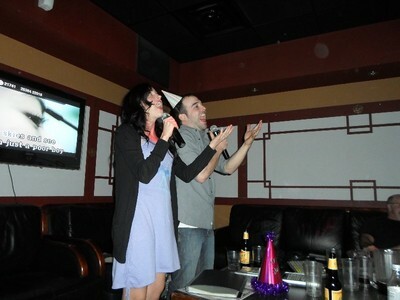 Matt and Ashley singing a little Bohemian Rhapsody. Me singing something. I can’t remember what it was but I’m pretty sure I rocked it. Chad and Matt singing Creed, while Scooter laughs. Yes, Creed. Hiroko, Cody, and my mom were also there but somehow escaped my pictures. 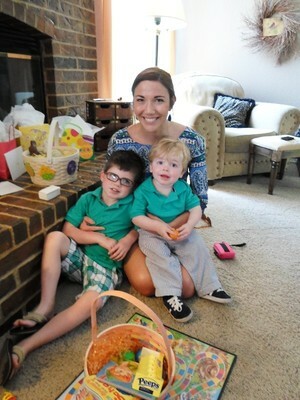 And this past Sunday, we celebrated Easter. 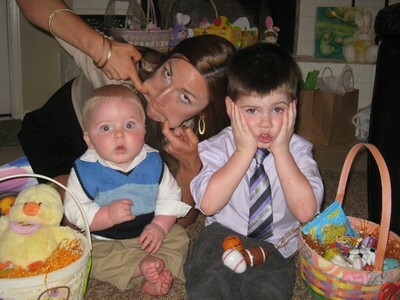 I took a picture last Easter with my nephews, and it was the weekend I moved in. I have enjoyed this time with them so much and I know I will have to move out eventually, but I am trying to cherish every moment until then. 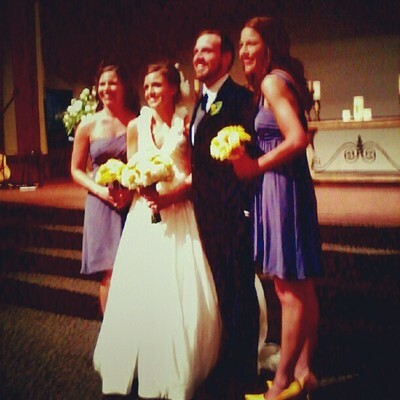 ( I put that picture up too, so you can see how much we have all changed) We went to my mom’s house to celebrate. 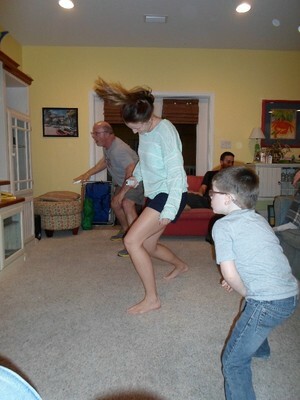 My grandma was in town, so my aunts and uncle came over with my cousins. So that was March, in a nutshell.